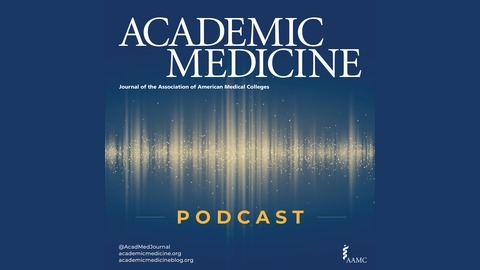 Meet medical students and residents, clinicians and educators, health care thought leaders and researchers in this podcast from the journal Academic Medicine. Episodes chronicle the stories of these individuals as they experience the science and the art of medicine. Guests delve deeper into the issues shaping medical schools and teaching hospitals today. Subscribe to this podcast and listen as the conversation continues. The journal Academic Medicine serves as an international forum to advance knowledge about the principles, policy, and practice of research, education, and patient care in academic settings. 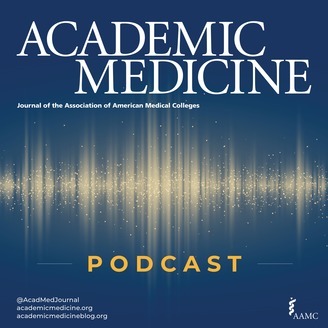 Please note that the opinions expressed in this podcast are the guests’ alone, and do not necessarily reflect the opinions of the AAMC or its members. Discussing clinical reasoning, cognitive bias, and diagnostic error and their implications for physicians and training programs are editor-in-chief David Sklar and senior staff editor Toni Gallo (Twitter: @ AcadMedJournal) and Dan Mayer, an emergency medicine physician who has taught on diagnostic errors and medical decision-making for more than 30 years. Read more about this topic, including the articles discussed in this episode, at: https://journals.lww.com/academicmedicine/pages/default.aspx.